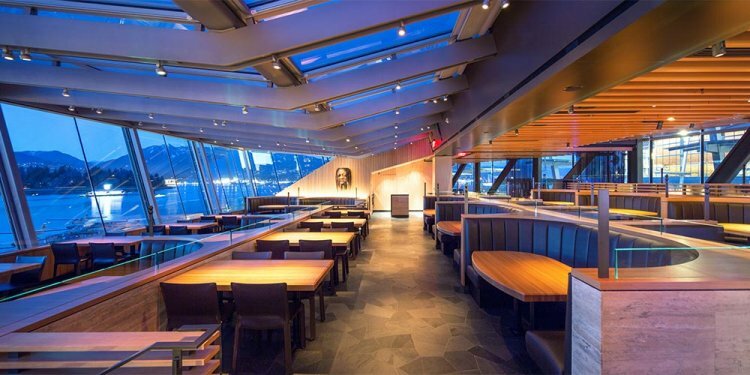 You’re spoiled for choice when it comes to dining options that are close to Vancouver's Cruise Ship Terminal - Canada Place. From fine dining, quick pub food, and some of Vancouver’s best sushi, the choices are endless. If it's views and beautiful food you want, it's Miku Restaurant you need. This fine-dining Japanese restaurant is a local favorite for their aburi-style sushi and incredible dishes. Each plate is bursting with freshness, flavor, and plenty of creativity – Miku is a solid choice. If you're strapped for time and need to find the closest place for a bite, head to Cactus Club. This chain restaurant has locations in British Columbia and Alberta, and it's somewhere you can go for approachable food that's consistent across the board. Chef Rob Feenie made his mark in fine dining and now oversees the menu for all Cactus Club locations. On the menu you will find a variety of West Coast and international cuisine that are made using local and sustainable ingredients. This location is huge and can accommodate larger groups, but the best part is the view – it's hard to beat!